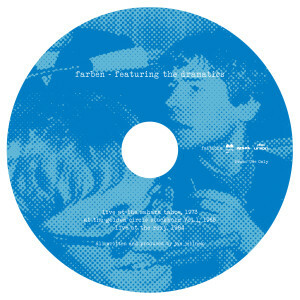 Faitiche is very pleased to present a new album and, at the same time, a well-known name: Farben Presents James DIN A4. In the summer of 2013, Farben (Jan Jelinek) remixed his way through the extensive oeuvre of the sample and collage artist James DIN A4 (Dennis Busch) -- and gathered 10 of his favorite titles here. 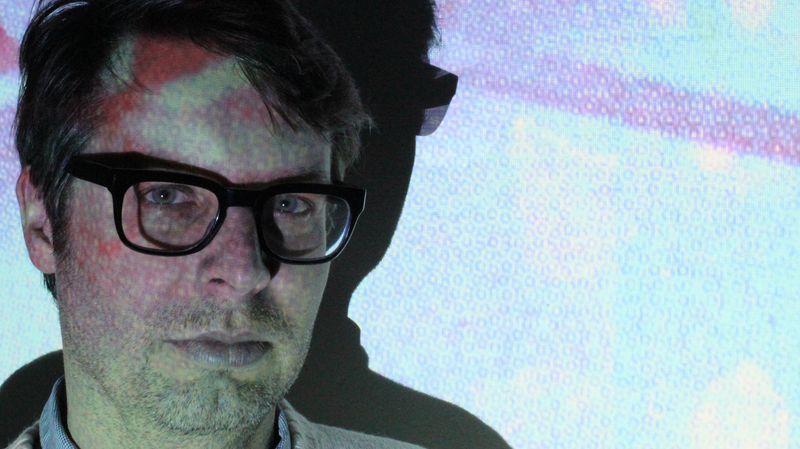 Find out more in the following interview: Jan Jelinek: Dennis, you're a musician and an artist who creates audio and visual collages, as well as designing fashion. Could it be said that the principle of collage is what underlies all of your activities? Dennis Busch: Yes, that's the common thread running throughout my output. I shake the kaleidoscope and don't know what the result will be. If I don't like it, I keep shaking -- until some sensible nonsense appears. JJ: Your tracks meander from position to position, and have the effect of seeming to lack concentration -- in a positive sense. What's interesting is that in nearly every track there is one constant: a straight beat. Is this comparable to the white sheet of standard DIN A4 paper on which the collage snippets are spread out? 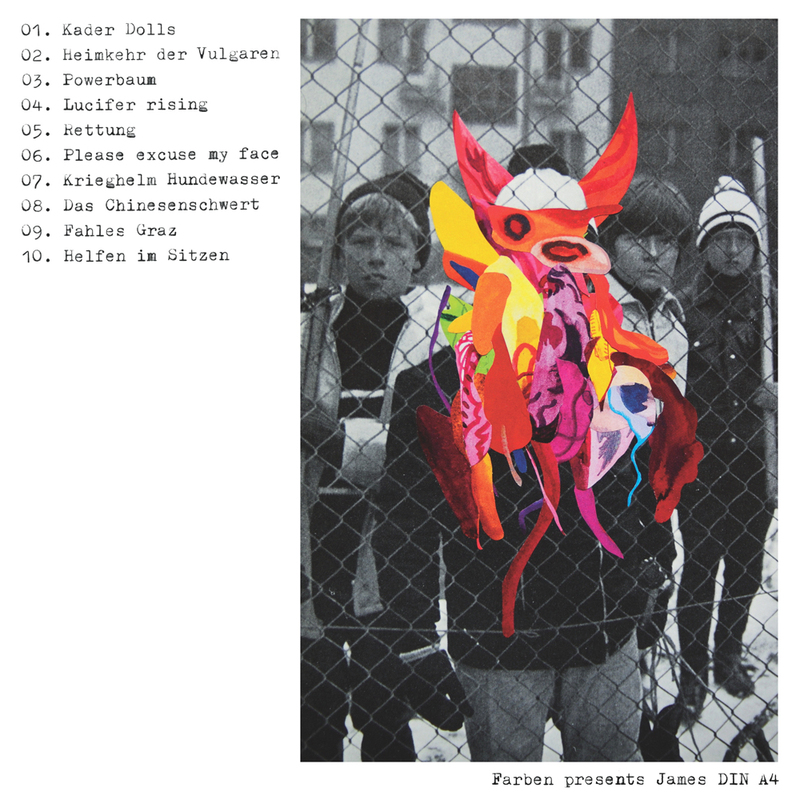 DB: Four-four time is a kind of diametrical baton. It creates structure and acts as a kind of hostel warden to keep the pubescent samples in line. This is important in order to conjure up a fitting little dress for the playful bumblebees and weeds that are the samples. In fact, a track may sometimes present itself as slightly unfocused, but only under the fullest concentration and dedication. A track that starts off as a swimwear vendor at the North Pole may indeed fade away as a gravedigger at the end of an exploding rainbow.